At last BT has given us our new phone number: 01249 248529, so do give me a call if your garden needs a fresh eye and you are not sure where to start! 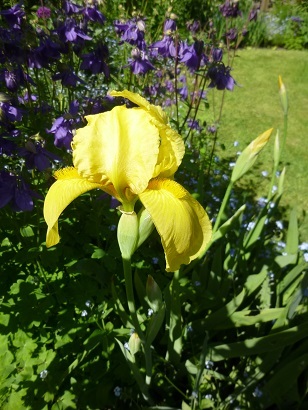 About 120 pots of my favourite plants came with me to my new home including Iris St Crispin pictured here. It recently produced a single stem full of promise but unfortunately, it was decapitated in its prime by a very hungry slug! I have now declared war on all their kind and go out at dusk with a bucket of salty water to put them in. Their numbers have now visibly declined, thank goodness. There is a silent battle going on in the depths of our gardens! In a similar way to the Grey Squirrel, Spanish Bluebells are slowly out-competing our native Bluebells. The English ones are distinguished by their graceful, slim arching stems with the flowers all on one side. 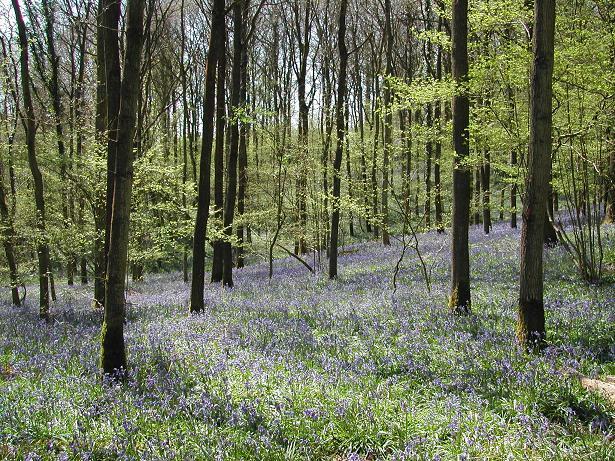 The Spanish Bluebells however, are vertical, thicker stemmed and with flowers all around. It may seem cruel, but I have dug mine up and sent them off to be shredded! Another attractive native is Euphorbia amygdaloides or Wood Spurge, whose lime-green flowers combine beautifully with Bluebells and it thrives in dry, shady corners. The evergreen leaves look good in winter too. Reviled by garden snobs, but admired by many, Forsythia brings a welcoming splash of yellow to dark days in March. Now is the time to give it a good prune and I do not mean the municipal crew-cut beloved by gardeners with hedge trimmers. Cut out one third of the old stems to open up the shrub for new growth. 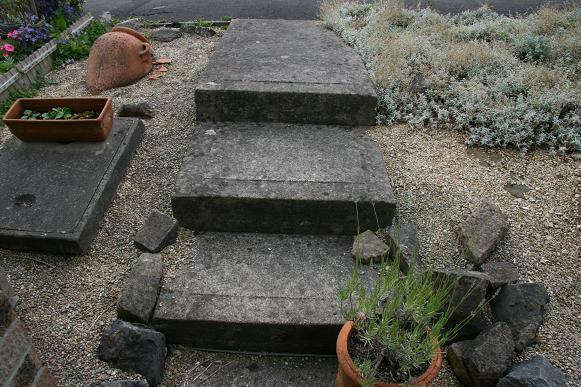 This will flower beautifully next year and look far more natural. If you havn’t sown any vegetable seeds yet, don’t worry as they all prefer a warmer soil. Sow your beans, courgettes and sweet corn under glass. Yellow courgettes seem sweeter than the green ones and you can get them in a round form too. Soak parsley seed in warm water overnight and it will germinate quicker. If that seems too long, buy a pot from the supermarket, split it up and plant it out. Chives are a subtle substitute for spring onions in salads and so easy to grow. 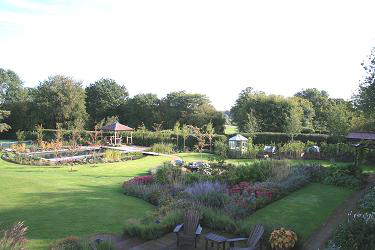 Grow as an edging in a flower border as the flowers are lovely too. So much to do and so little time to do it! At the Association for Professional Landscapers Award ceremony last month, the prestigious landscape company Artscape won a ‘Special Feature’ award for this stunning swimming pool garden. 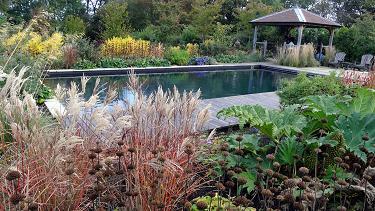 Designed by Jill and constructed and planted by Artscape, the existing pool was totally transformed. 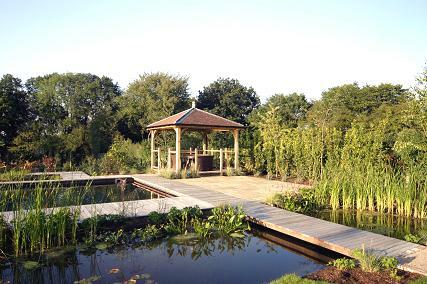 The timber boardwalk links the pond and the pool, and the luscious planting creates the illusion that the water flows seamlessly from one to the other. The Gazebo is perfectly placed to provide shelter on sunny days and to capture the last rays of the sun in the evening. Have a look at www.art-scape.co.uk for more photos. 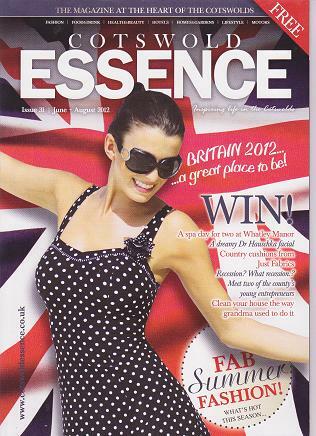 Jill is featured in Cotswold Essence Magazine! If you live in the Cotswolds or are just visiting, pick up a copy of the latest Cotswold Essence magazine and find out more about Jill and her design practice. 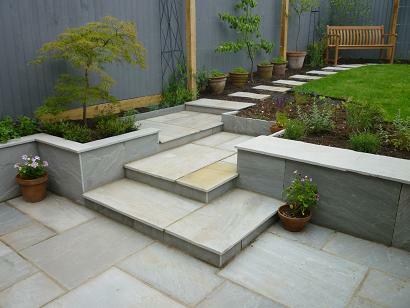 Hot off the press are these photos of a garden that I recently designed in Westbury- on-Trym in Bristol. 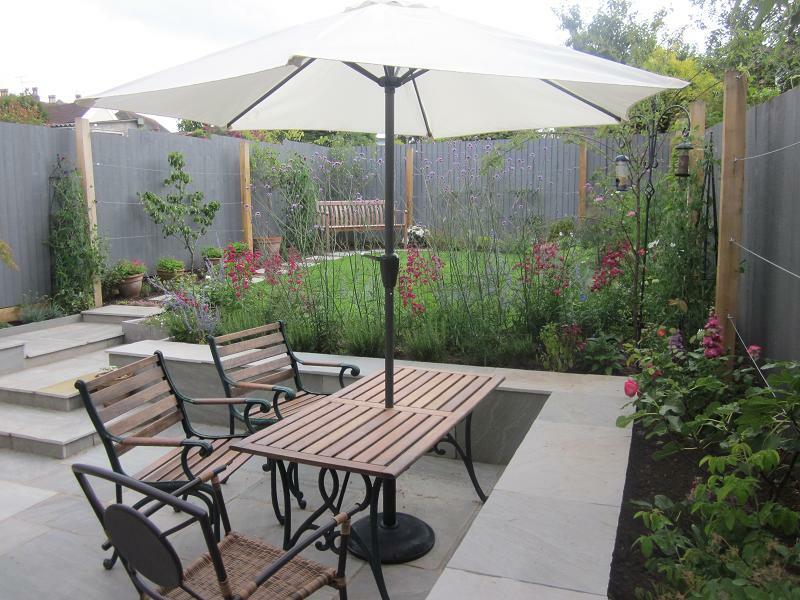 The garden was excellently constructed by TAG Landscapes who are based in Chippenham. Although quite a small garden, there is now ample space to entertain and the raised wall doubles up as extra seating for parties. The espalier fruit trees take up little room but will provide a variety of fruit for years to come. 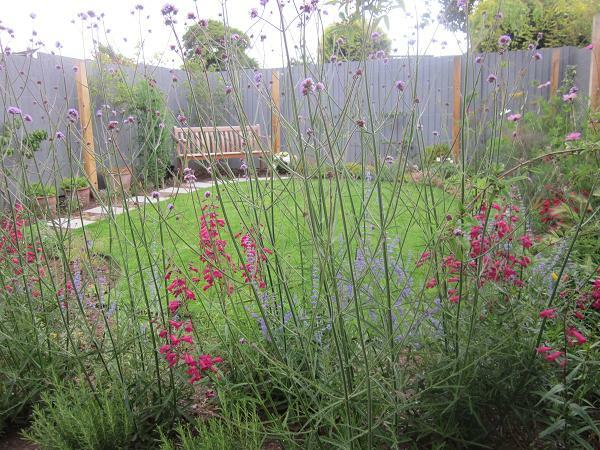 The raised seat is now softened with Perovskia ‘Blue Spire’, Penstemons and a haze of pink Verbena bonariensis. The Landscape Man’ Ch4 TV Did you see the programme? My latest TV garden adventure was ‘The Landscape Man’ on Channel 4. Set in the beautiful Welsh hills, the restored farmhouse had no garden to speak of when I first arrived. My clients had three young children and a vast collection of rescue animals who all had to be catered for in the overall design. 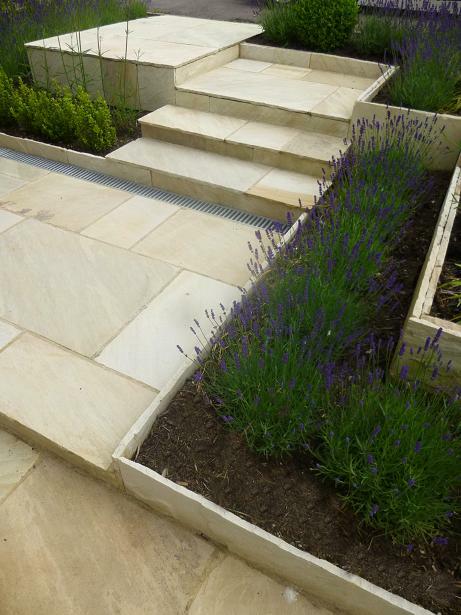 Sustainability was the key issue though, so we used local stone and re-cycled materials throughout the garden. The weather during the build was absolutely dire, with heavy rains and biting winds and yet the pressure to meet the TV deadline was ever-present. 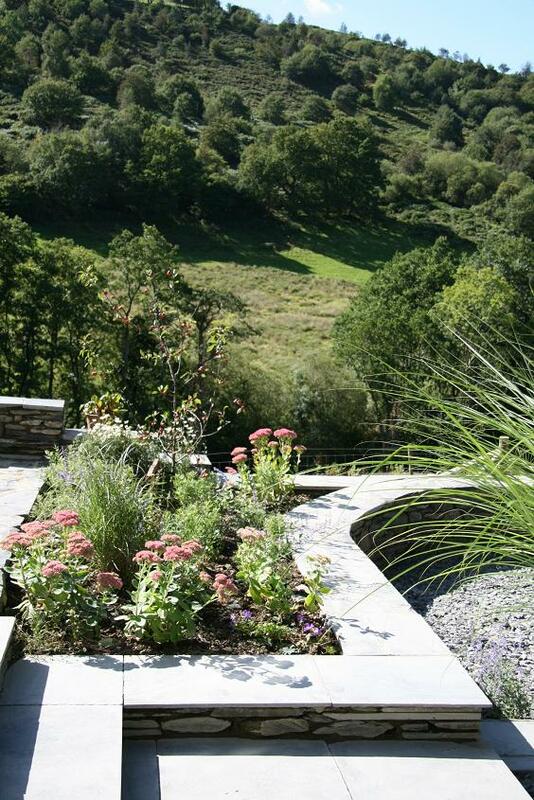 However, it turned out to be a great success and the garden, with its slate terrace and drystone walls, now fits perfectly in the stunning Welsh landscape.